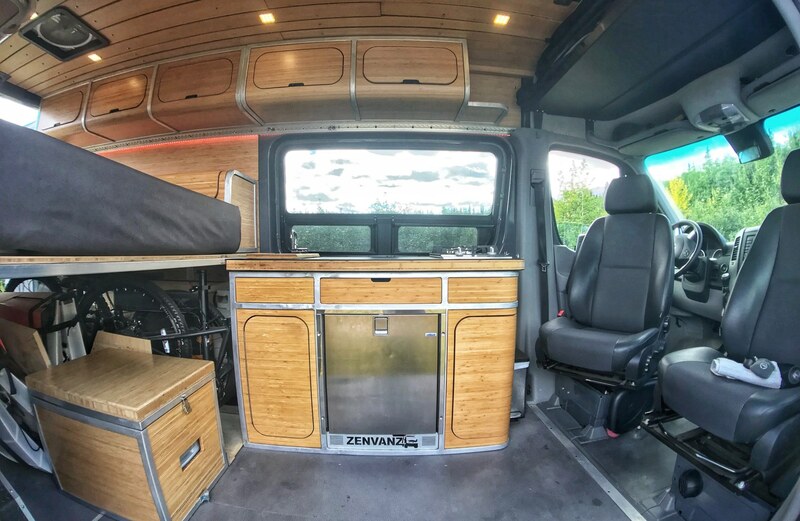 Having spent years transforming Mercedes-Benz Sprinter vans into adventure vehicles, Oregon-based Zenvanz is known for using top-of-the line materials, such as bamboo, to transform van interiors into sleek, sophisticated living spaces. 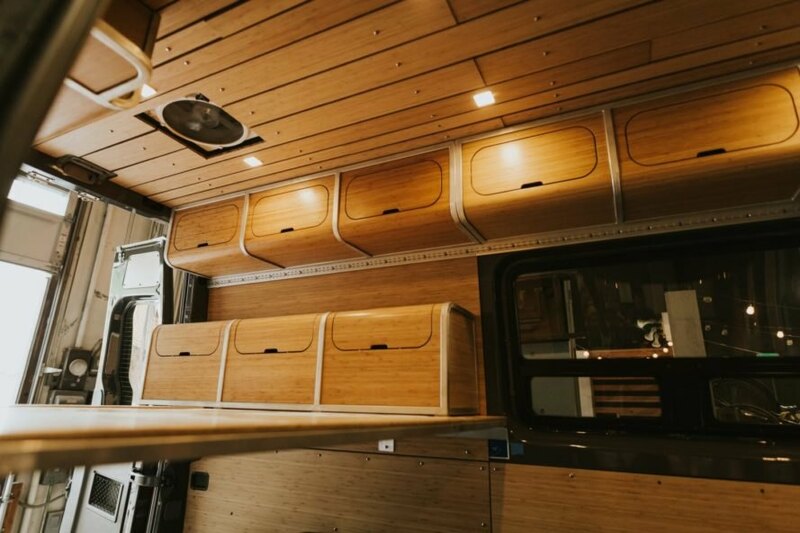 Now, the prolific company is putting its superior design knowledge into helpful DIY kits that allow road warriors to convert their own vans into a bespoke homes on wheels. 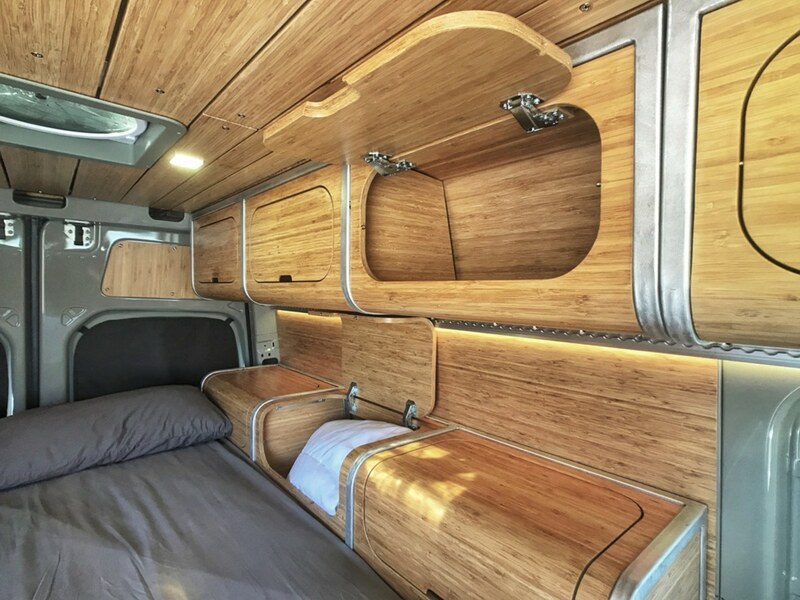 Along with a host of quality materials, the company uses its signature feature, bamboo, to transform open Sprinter van interiors into sophisticated and space-efficient living spaces. Every retrofit focuses on providing the utmost when it comes to combining the desire for travel and adventure with the need to be comfortable on the road. The interiors are clad in cabinets that are made from lightweight aluminum and eco-friendly bamboo to ensure optimal storage. In addition to providing turn-key vehicles, the company now offers DIY kits for van owners who want to hit the road in comfort and style. The kits, which include everything from bedding and storage to kitchens and showers, are easy to install using bolts instead of screws in an effortless installation process that ensures easy access to the electrical systems, wiring and more. According to the Zenvanz team, the strategic DIY kits were designed with flexibility and longevity in mind. 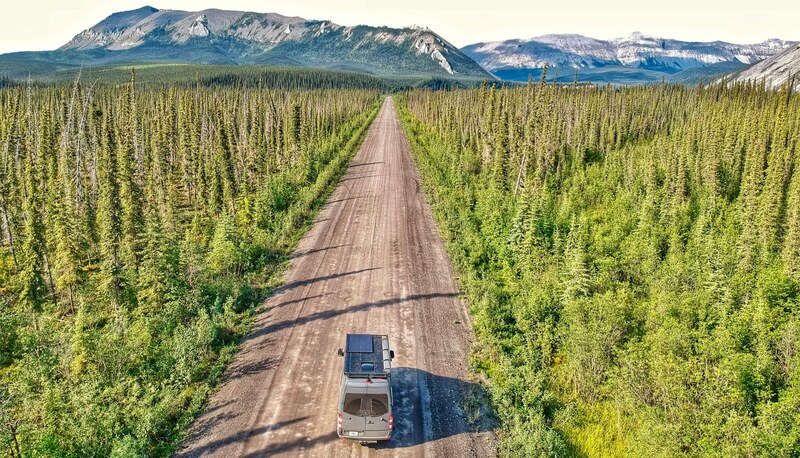 The kits guarantee a quick and easy van conversion for either the full-time adventurer or those who just need a weekend on the open road once in a while. The modular panels are entirely removable, meaning that the vans can be reverted to their original stock interiors just by turning a few bolts. What do they do about toilets and showers? 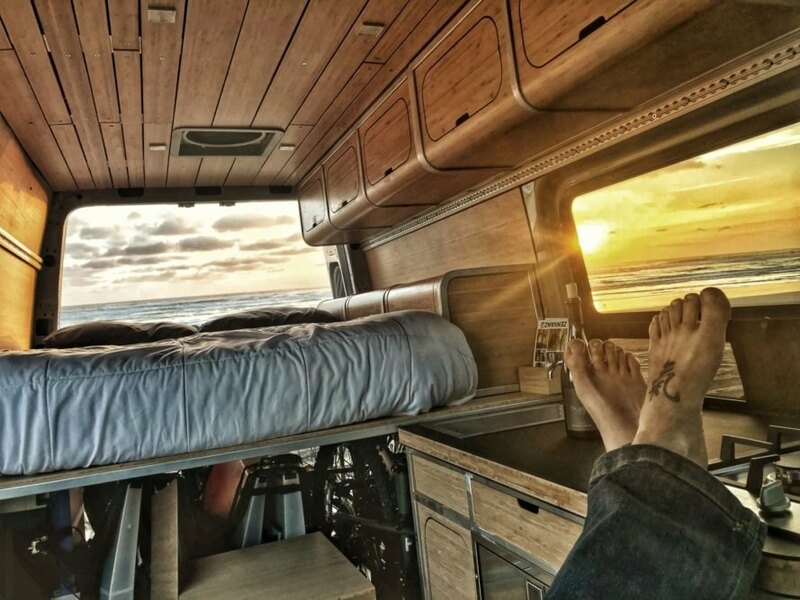 The Oregon-based company Zenvanz turns vans into adventure vehicles. Zenvanz coverts Mercedes-Benz Sprinter vans into custom adventure vehicles. The company uses eco-friendly bamboo to clad the interiors. Every inch of the interior is efficiently designed to make the most of the space. A small kitchen with two burners is compact, but sufficient. The sleeping platform can also be dismounted. 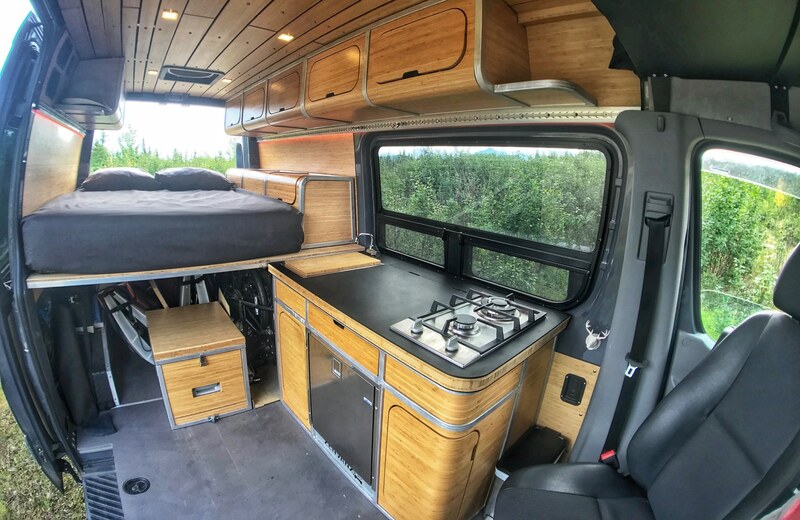 Storage space is always a priority in a home on wheels. 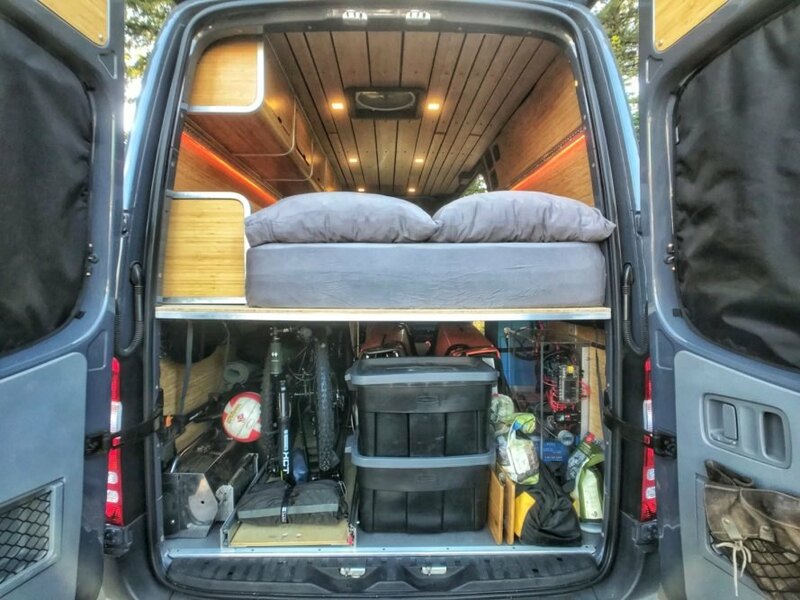 The vans are equipped with plenty of storage space. Modular panels are custom-made to create a space-efficient interior. Hooks help prevent clutter in the compact interior. The kits allow adventurers to customize their own vans. 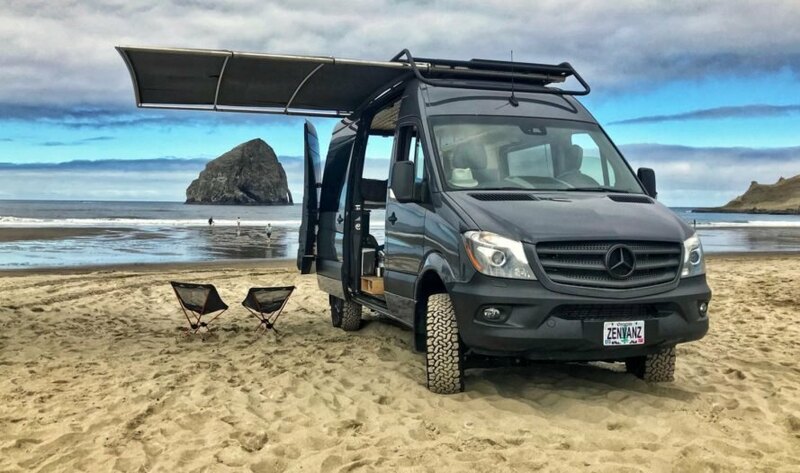 The company converts old Mercedes vans into tiny homes on wheels. 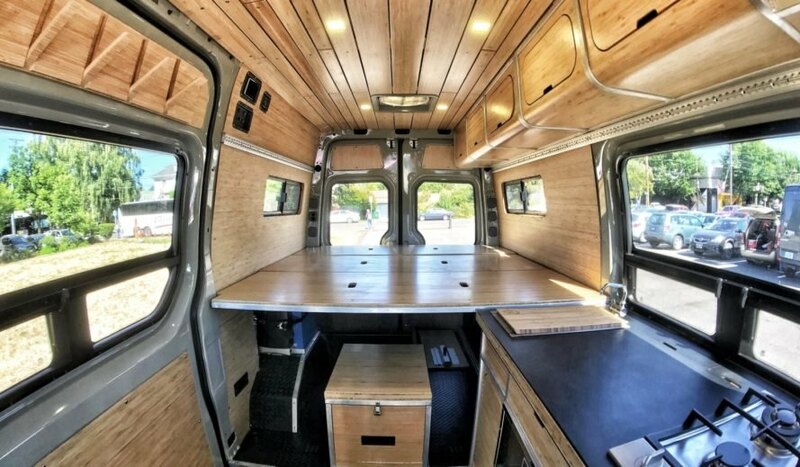 Designs for the van conversions focus on adventure travel.